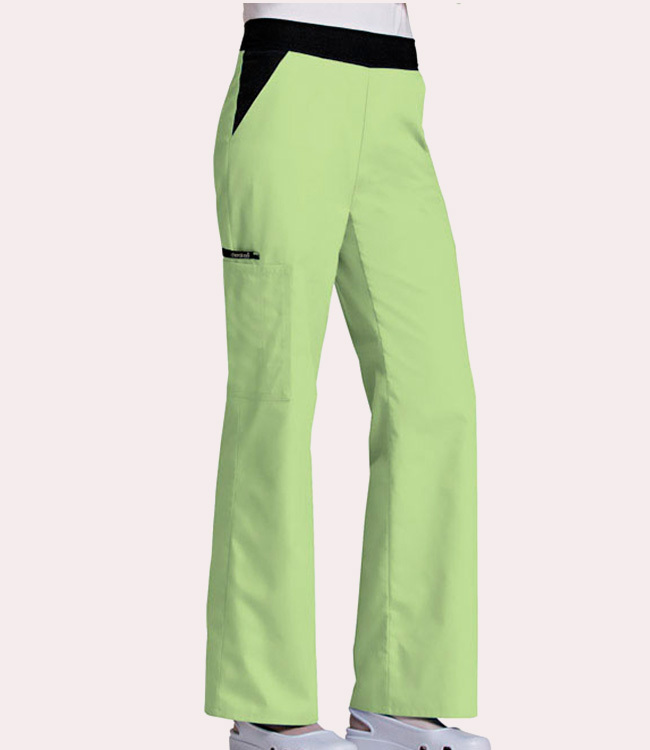 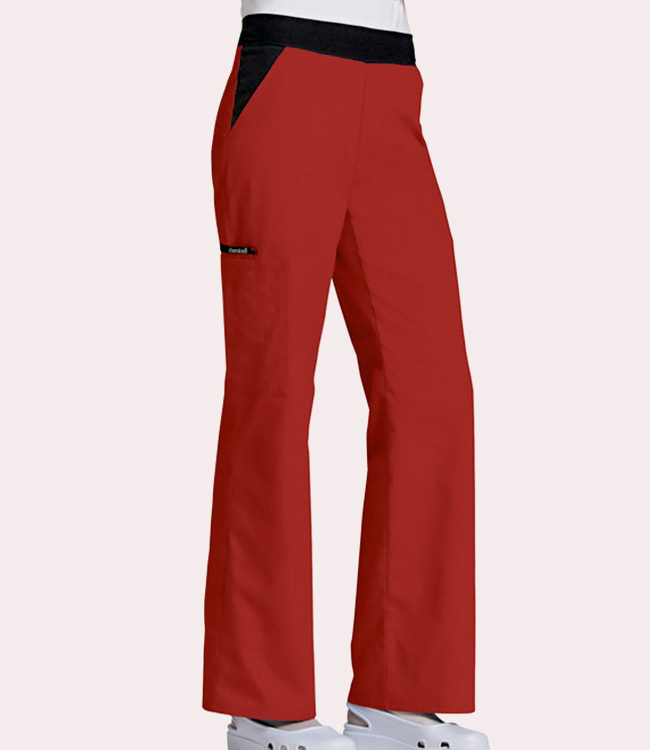 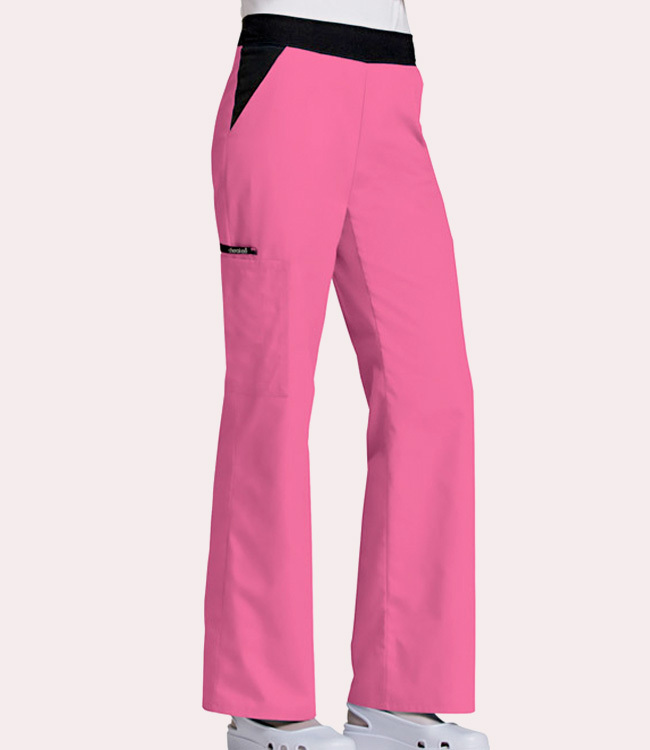 A new Flex-i-bles moderate flare leg pant features "Comfort Fit" knit spandex waistband reinforced with elastic inside for extra support and elasticity. 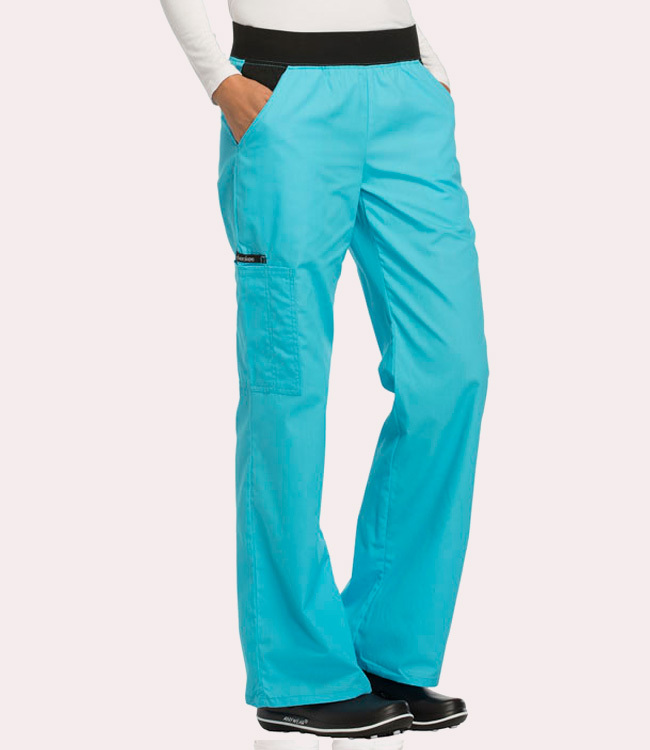 Also features contrast front slash pockets, cargo pocket with stitched down pen slot and contrast cell phone pocket. 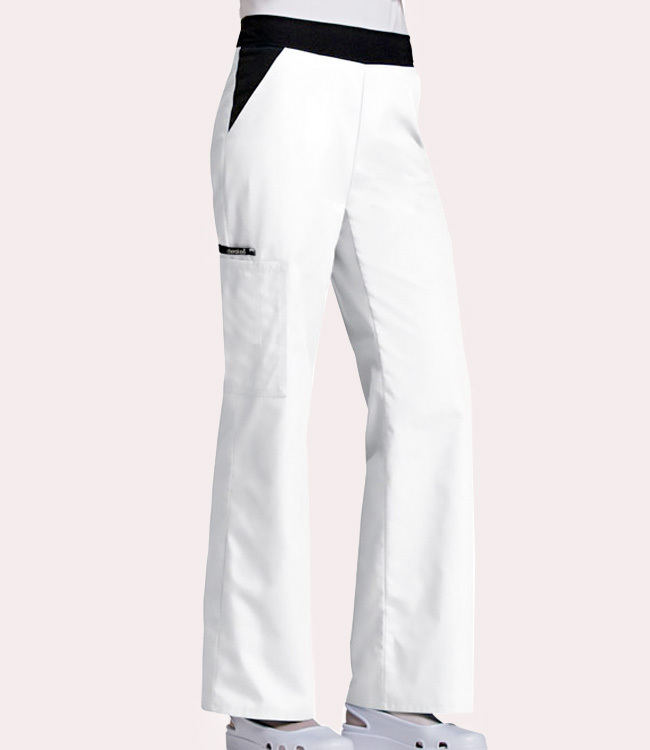 Inseam: 31"